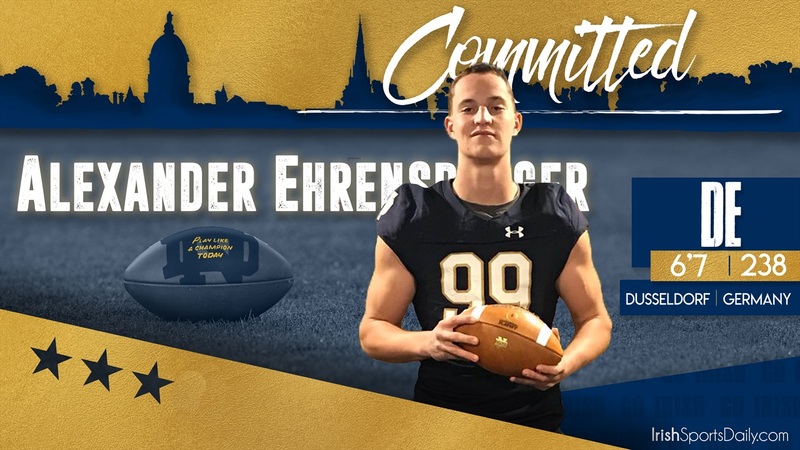 Notre Dame offered 2020 Dusseldorf (Germany) defensive end Alexander Ehrensberger‍ in November after a visit to South Bend. “First I want to thank everyone who has supported me over the past years and made me to who I am today! Especially I want to thank my family, my coaches, Brandon Collier/PPI and all my friends who believed in me. Also I want to thank all the people who doubted me - your doubt let me grow and made me stronger! On the field, Notre Dame will get a prospect full of potential and will be molded by defensive line coach Mike Elston.